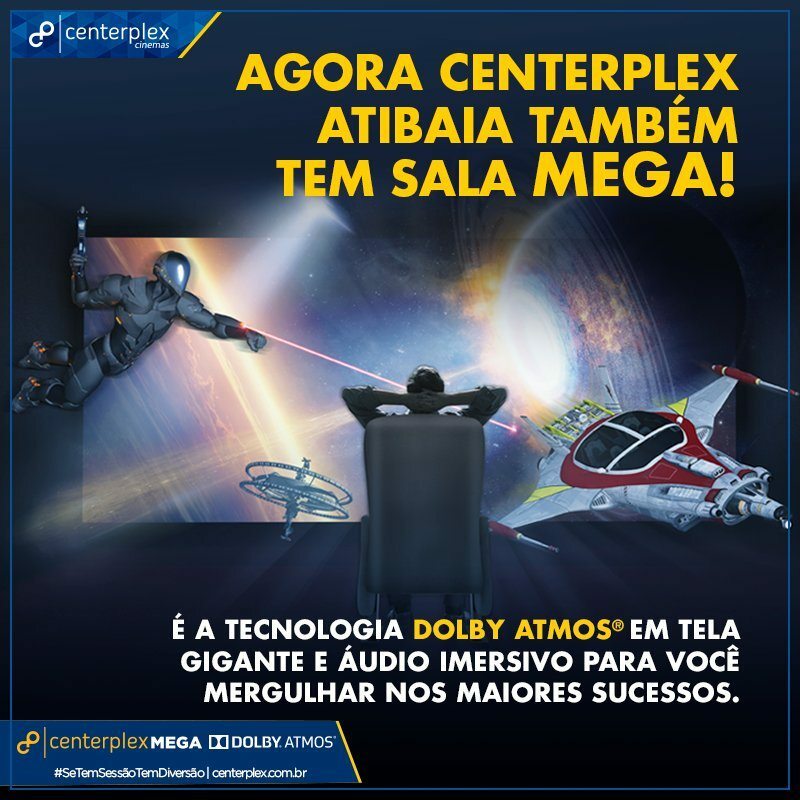 São Paulo, Brazil (November 5, 2017) – Centerplex Cinemas, one of the largest motion picture exhibitors in Brazil, recently announced plans to deliver Dolby Atmos immersive audio to 10 screens throughout Brazil. Dolby Atmos is a state-of-the art sound technology that places and moves sound all around the audience, even above, to truly immerse the audience in the music and audio effects. In addition, Centerplex will deploy several Dolby Integrated Media Servers, IMS3000, Dolby Multichannel Amplifiers and SLS 3-Axis Speakers across its circuit, becoming the first exhibitor in Brazil to install the latest Dolby technology. The installation is expected to be completed by the end of 2018. Centerplex is committed to delivering a spectacular experience across its circuit and looks to deploy Dolby’s cinema solutions to provide the best cinematic experience to its patrons. Dolby Atmos has quickly become the preferred choice for next-generation sound in the cinema, with major studios, directors, and exhibitors from around the world adopting the solution. Over 700 Dolby Atmos titles have been released or committed to globally. Dolby Atmos and the latest line of server and audio capabilities were the natural choice. An innovative imaging server and audio processor in one, the new Dolby IMS3000 delivers reliability and enables Centerplex to show movies with superior sound. The solution also offers flexibility with sound as Centerplex can start with Dolby Audio 5.1 or 7.1 sound now, and unlock the power of Dolby Atmos later across its circuit. The Dolby Multichannel Amplifier can replace up to 16 stereo amplifiers, using less space and producing less heat, to lower overall costs. The new SLS 3-Axis Speaker delivers exceptionally clear and powerful sound in a small, light package that is easy to install, including overhead. Each spherical speaker can be mounted in the ceiling or wall, and is easily adjusted for pan, tilt, and rotation. The adaptability of these solutions means Centerplex can more cost effectively provide the unmatched audio and image experience throughout their cinema chain. Dolby Laboratories (NYSE: DLB) is the global leader in technologies that are essential elements in the best entertainment experiences. Founded in 1965 and best known for high-quality audio and surround sound, Dolby creates innovations that enrich entertainment at the movies, at home, or on the go.